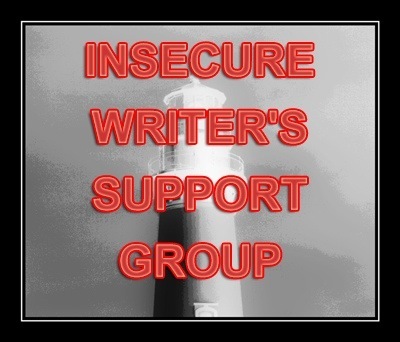 This entry was tagged Blogging, FaceBook, Photograph, Roni Loren, Writer, Writer Resources, Writers Resources, Writing. Bookmark the permalink. Thanks for the mention. I am sad that my blog now has boring stock photos rather than the fun stuff I found out there on the Internet. I thought if it was on the Internet, it was available for use. Wrong-O. We live in such a law-suit-happy culture. Thanks for the reminder! I wish I had more pictures on my blog to break up the monotony of reading paragraph after paragraph but my personal photo albums only cover so much ground! If you take the picture (or create any other creative work) you own the copyright until such time that you assign it, license it exclusively (well, you still own it then, but you’ve limited yourself), or release it into the public domain. I rely primarily on the WordPress tool Zemanta for pictures. They generally provide Creative Commons licensed pictures (though some have commercial use restrictions, which has to be taken into consideration if your blog might be considered commercial). If they don’t have something I can use I search Flickr for CC licensed pictures. As long as you’re aware of the different types of CC licenses and honor any restrictions they may impose, you’re safe. 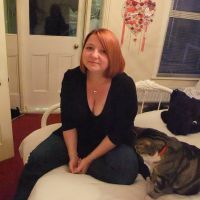 Hi Vikki – thanks for sharing. I did learn a bit about creative commons license pictures when I did the freelance writing online course last year. I use Zemanta tool in WordPress but only the ones that have a creative commons license, which are mainly Wikipedia commons (and these automatically come up with a credit to the photography underneath the photo when you add them). I think I’ll start taking more of my own pictures though as it’s got to be safer. I’m now wondering if this rule applies to quoting text from an author’s work as well…even if you give their work credit, should you contact them before quoting? Any ideas anyone? I really need to read up on all this Creative Commons stuff, perhaps do a post about it. I think if you are going to quote a writers work, you have to ask permission Sandra, and be prepared for them to say no. It constantly amazes me that writers who wouldn’t want their own work copied and posted on other people’s blogs or websites don’t understand that others may feel the same way. If we create a piece of writing, a photograph, song, painting, film etc then we own the copyright and no one should use our work without permission. That is so true Patsy! This is really interesting, I’ve been looking into this quite a lot recently and I discovered I am also breaching copyright if I publish my own picture that I have taken in private property. The apparently includes anywhere where I have paid to get in – so an awful lot of tourist attractions where I have taken loads of pictures and posted loads too. It’s a minefield! Hell, that’s worrying, as I do the same! Thanks for posting, both your post and the comments were very informative. I always try to use public domain images, if I use them at all. But you got me to get off my lazy bum and make sure! You’re welcome hon, I think it’s definitely something we all need to know about. btw, if you only want to use a picture on your blog (rather than on something you are going to sell) and offer to give a credit many photographers, even professional ones, will be happy to let you use a picture. I read something about this a bit ago and what an eye-opener. Some stock photo sites allow free images to download for use, or I use my own and as others mentioned,sometimes just asking, you will get a yes. You would still think since it’s out there in cyber it’s up for use,but then you have to think, would you like a person using your images from social sites,your personal pics or novel covers,etc anytime or anywhere? That and my illustrator brother shaking his head over my shoulder it’s a no-no helps also. 🙂 Good post! That is a little scary. I suppose it depends on what you are taking and where from as to how likely you are that someone will be bothered about it. If taking someone’s artistic photos, then I can understand that as more of a problem. I suspect most media shots e.g. of tv shows are not that big a deal as it is just additional publicity (unless you use a lot). Promo shots are also likely to be ok if you link back. Technically not fully legal, but unlikely to be complained about if you are promoting someone elses work without taking liberties. Loosely I think the more unique the image, the more likely someone is to complain. The more generic, or more publicity like material, the less likely anyone is to be bothered so long as you don’t take liberties. Or you can use your own material or free clip art. It does make me wonder about all the “sharing” on FaceBook. When will we hear about the first court case from there? Do they have some clause where I am agreeing to share my pic the minute I upload it? If I need something really special I go to Big Stock, (www.bigstockphoto.com) and pay a few bucks. They have first rate images there for pretty much anything you can imagine. I always credit the artist, (if you hover over any image on my blog you’ll see that) and if they indicate in their profile, link back to their site. I’ve got my fingers crossed that keeps me out of trouble! It sounds to me like you’re well covered! I love this. Someone else actually takes the time to read and learn. Awesomeness. Yes, it’s been illegal for years. Still, many people just don’t care. “Who owns the copyright if you take a picture of say, a piece of art or a building that’s been designed by an architect?” — Technically, you own the copyright of the image. Get this: The artist of the artwork or building that you snap a picture of is able to sue you if you do not ask for permission to use the image beforehand. (To snap a picture of a Picasso in a museum would result in thousands of dollars in fines, without first getting permission from the responsible party of Picasso’s artwork.) The same can be said for many buildings, actually. — Interesting, huh? So long as you’re able to get permission from the author of the work, or the responsible party over the work, it shouldn’t be too problematic. Thanks for highlighting this, Vikki. When I type my posts in WordPress a selection of photographs appears down the bottom right of the screen, triggered by the words I’m using. Usually, one of these is suitable to illustrate my post. I assume that because WordPress is suggesting these pictures to me, I will not be breaking any copyright law. Hope I’m right!